Epson Australia has launched its next-generation Moverio BT-35E augmented reality (AR) smartglasses with transparent Si-OLED display. Designed for daily use, the smartglasses allow users to keep their display in front of them as they carry out their tasks allowing for increased productivity. 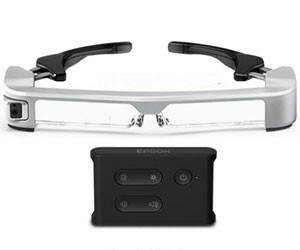 Offering an out-of-box experience, the smartglasses provide plug-and-play operation with no special software required. The new BT-35E features an interface unit with HDMI and USB Type-C ports to easily connect to popular output devices and seamlessly blend digital content into the real world. When used with a compatible USB Type-C output device, the interface does not require an external power source. The smartglasses are designed to fit over the majority of eyeglasses comfortably and are ANSI Z87.1 Safety-Glass Compliant. 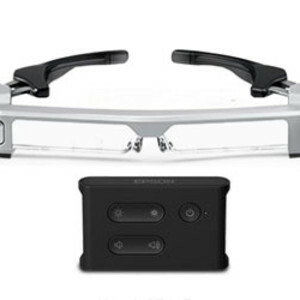 I am interested in Moverio BT-35E augmented reality (AR) smartglasses .